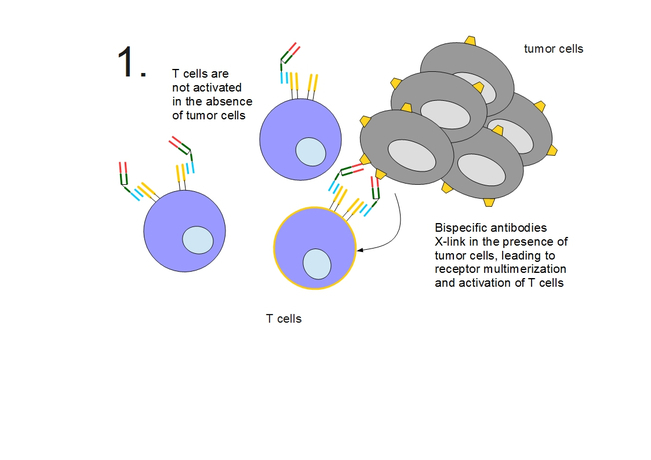 Bispecific antibodies do not only bind to tumor cells and recruit and activate T-cells to kill tumor cells but also induce proliferation of such T-cells and consequently amplify the immune response. 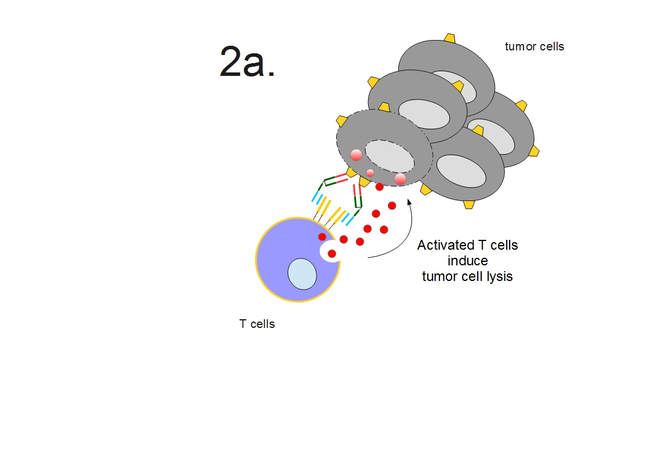 The bispecific antibody binds to target molecules (orange) specifically expressed on tumor cells (gray) and at the same time to activating receptors expressed on T cells (blue) (1, right), in the absence of tumor cells, T cells are not activated (1, left). The cross-linkage of the receptors on the T cell leads to T cell activation (2a). 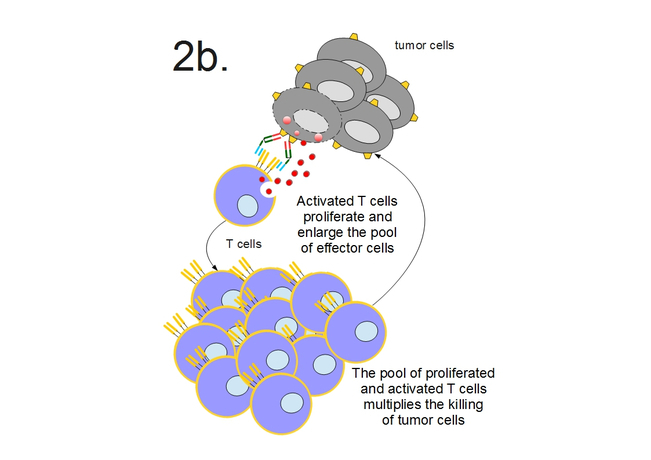 During the delayed response, the activation of T cells leads to T cell proliferation and thereby to an enlarged pool of T effector cells (2b). In addition, activated T cells secrete pro-inflammatory cytokines, which recruit other immune cells. Both mechanisms boost the inflammatory anti-tumor response and strongly contribute to the killing of tumour cells. 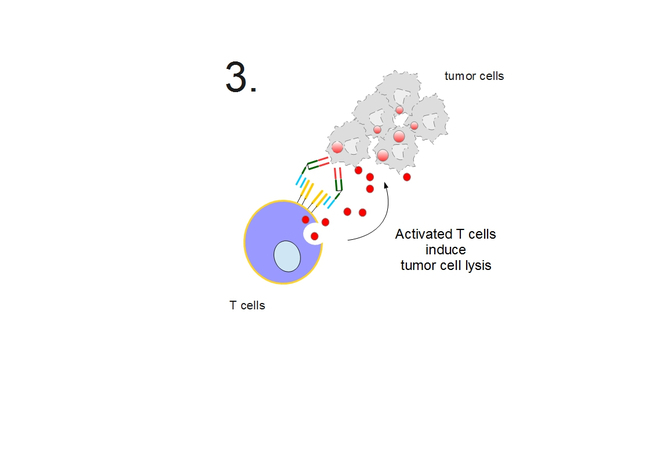 The cross-linkage of the receptors on the T cell leads during the immediate response, to direct killing of tumor cells by activated T cells (3).